Kathryn Bernardo and Daniel Padilla, who are both Mar Roxas-Leni Robredo RoRo endorsers, have already voted for today's Philippine Election 2016 earlier this morning. 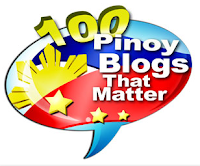 It was their first time to exercise their right to vote as responsible citizen of the Philippines, but sadly, only to get criticized afterwards. What really happened? Pictures of Kathryn and Daniel while holding their ballots and while voting have gone viral online as netizens debate whether they violated COMELEC rules or not. 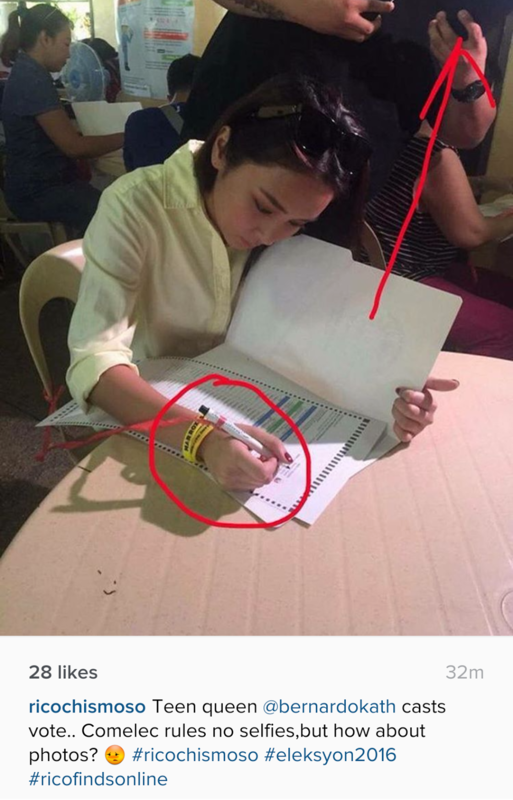 As shown in the pictures above, Kathryn was shown wearing Roxas-Robredo ballers while casting her vote, which they say is against the election law. A man by her side was also shown holding a gadget perhaps taking a picture of her ballot as she votes. The other photos show Kathryn and Daniel posing for the camera while holding their respective ballots, which they believe are also a violation. The controversy has already come to the attention of COMELEC. 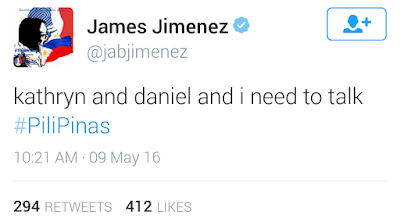 Their spokesperson James Jimenez tweeted that he and KathNiel need to talk regarding the alleged violation(s). 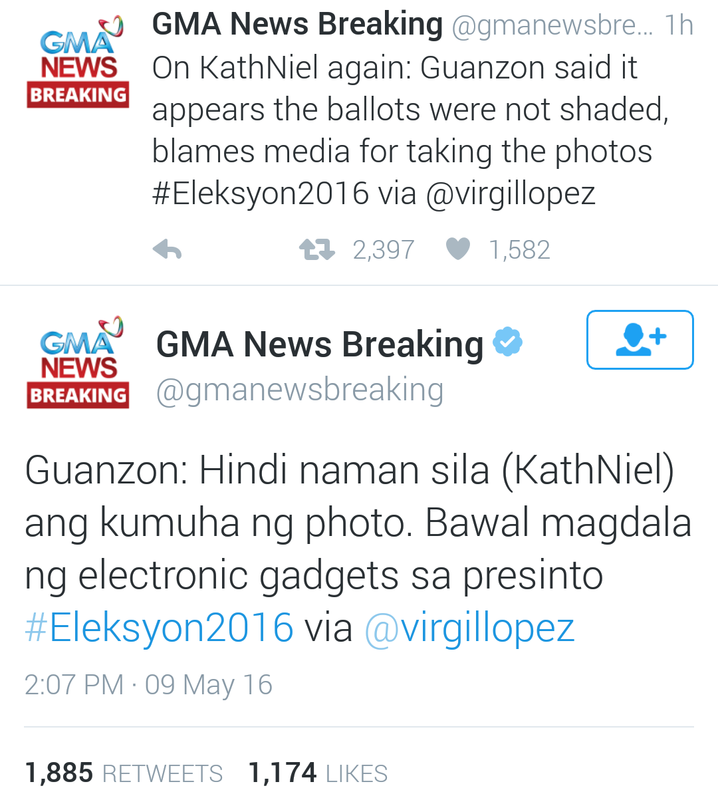 Meanwhile, COMELEC Commissioner Rowena Guanzon has cleared KathNiel of any violations via GMA News. 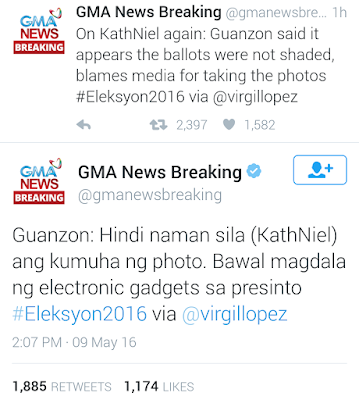 According to her, the two didn't violate the rules because the ballots weren't shaded yet and that it wasn't them who take the photos.